Halloween is right around the corner and my oldest still needed a bag for his treats. 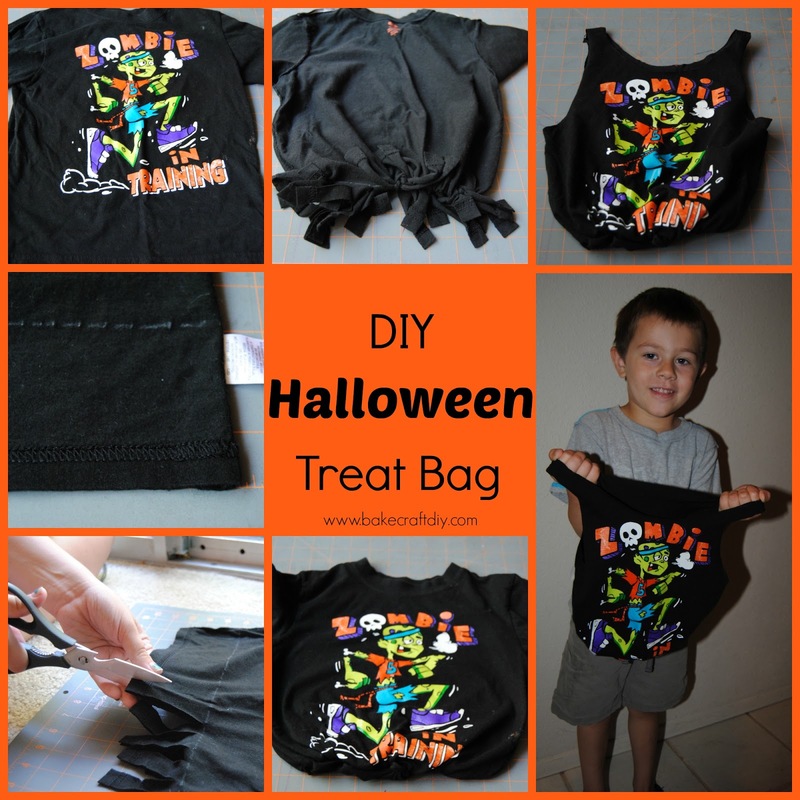 We made this easy DIY Halloween Treat Bag using a shirt we bought on clearance for .25 cents last year. This craft is easy enough for a child to do if they can use scissors and tie knots they can make their own Halloween Bags! 1. Pick your shirt, measure and draw a line about 2 inches from the bottom of the shirt. We turned our shirt inside out so the line wouldn't be visible. 2. Take scissors and cut strips. Be careful not to cut off the strips as you cut. 3. 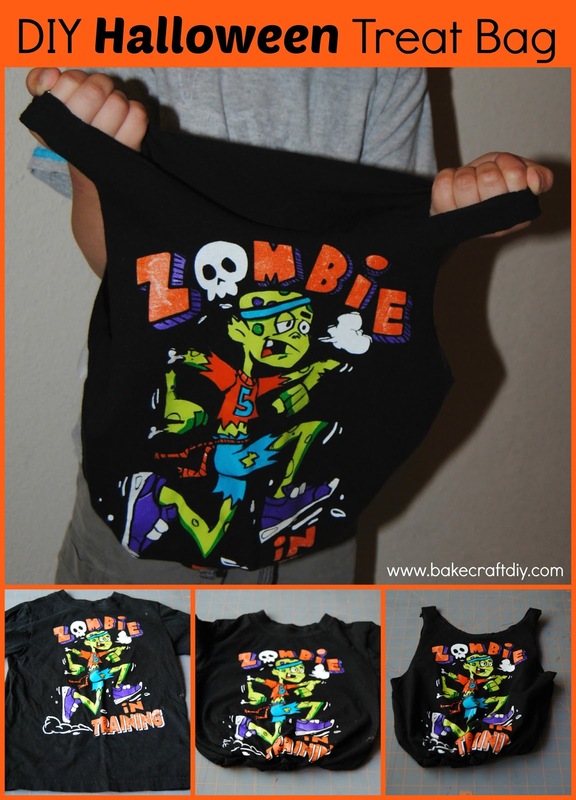 With your shirt inside out tie knots using the strips of fabric you cut on the shirt. 5. 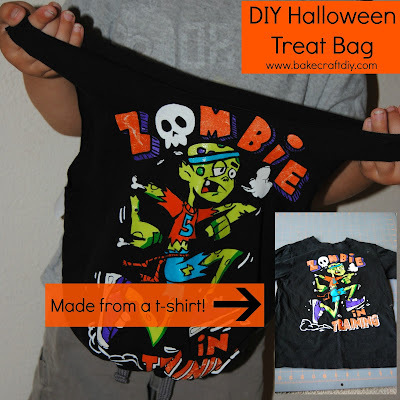 Turn your shirt right side out and you've got a quick easy bag.